The Summer version of our ever elegant V Argentine Tango, one of our customers’ most coveted pieces. 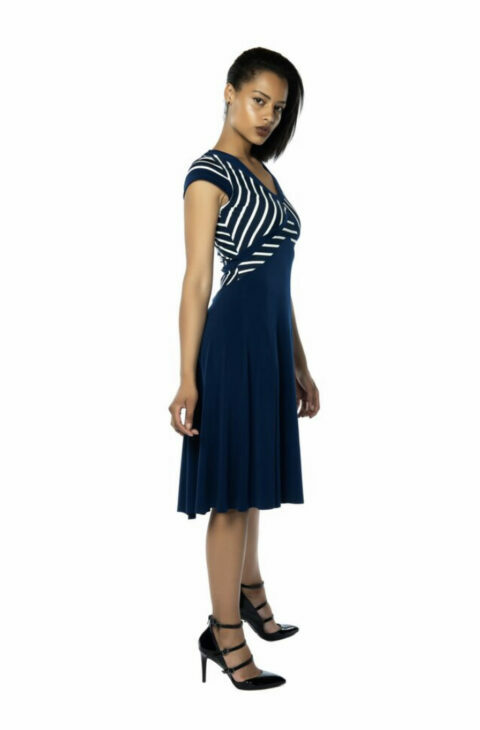 Part of our “Easy Fit” line of Tango Dresses, the V dress has an extremely flattering shape that takes the attention away from the abdomen area and creates the optical illusion of a slimmer waist. 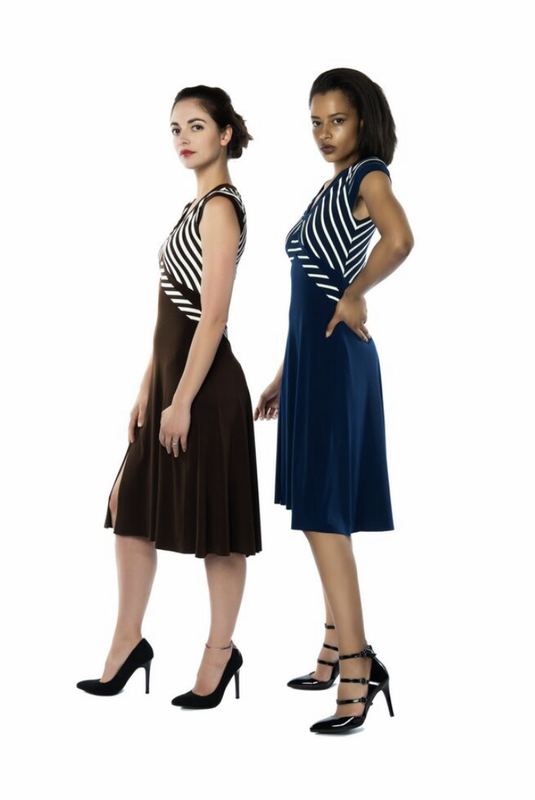 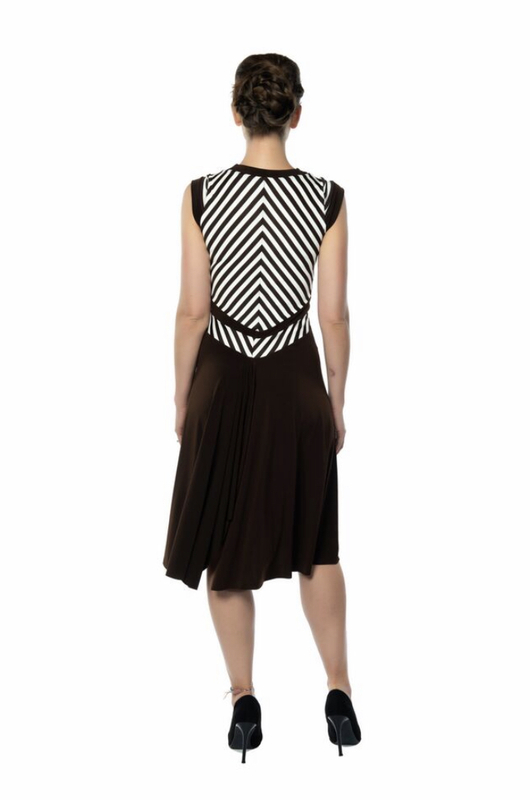 This version of the V Tango Dress comes in either Navy blue & white or Chestnut & White stripes! 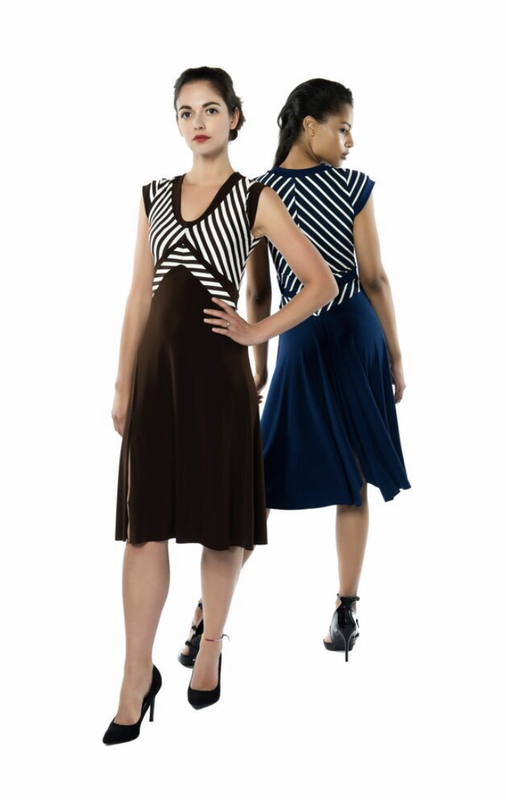 Long sleeves option available (NON-RETURNABLE).